Posted On September 28, 2016 by Team iCynosure. 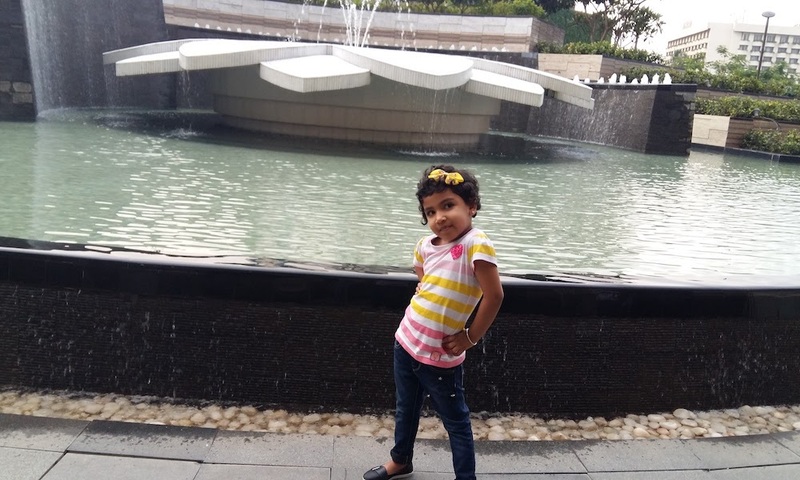 With the number of stories, I hear about Malaria, Dengue and Chikungunya these days, I’m very scared as a parent. Not only am I a mosquito magnet, but also is my daughter. If there is a mosquito around, it is sure to find us from a zillion people present. And leave us with ugly large skin bumps that will itch, get hard and sometimes cause mild fever as well. I’ve learnt to be safe than sorry when it comes to mosquito-borne illnesses and hence I’ve always mosquito repellents. Two thing that I really hate about mosquito repellents is one that the lotion/cream is be directly applied to the skin and second is its terribly pungent fragrance. Most repellents are infused with chemicals and hence using them on my little one’s skin always seemed a terrible idea. Recently I came across Buzz Off! 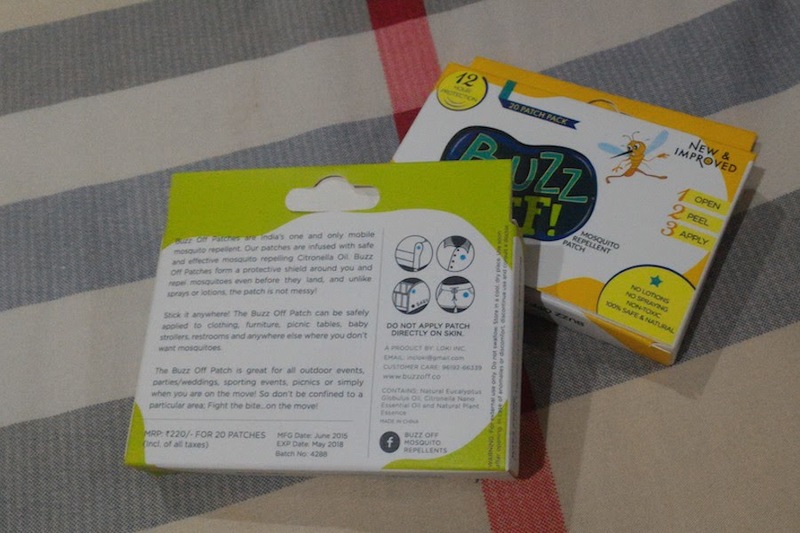 Mosquito Repellent Patch that offers a 12 to 18-hour protection from mosquitoes. Each 3"x3" patch claims to be infused safe, natural mosquito repelling Citronella Oil along with Eucalyptus Globulus Oil and Natural Plant Extract that forms a protective shield around your body. The patch is to be applied either on the clothing, or furniture or any place but not on the body. 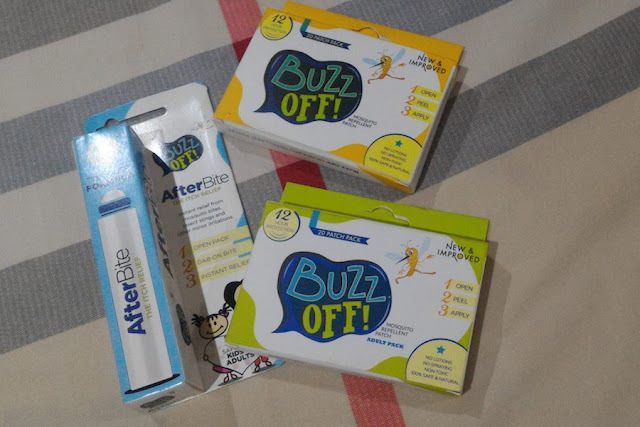 The brand also offers an After Bite Itch Relief that gives instant relief from mosquito bites, insect stings and other minor irritations. Buzz Off! After Bite Itch Relief subsides the itchiness, redness and inflammation of the skin right after an insect bite. A pen-shaped roll-on, the product to be dabbed on directly on the bite or sting and rolled on gently for instant comfort. My Experience: The patches totally worked for us. 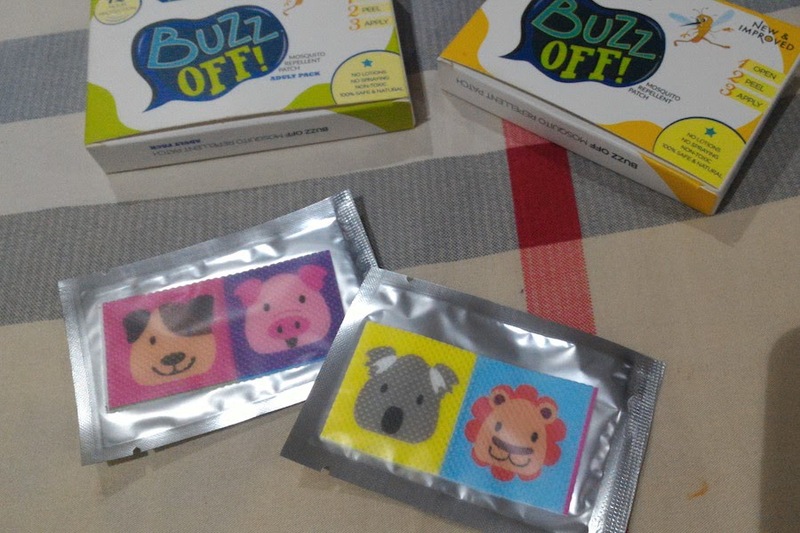 The patches are available in two variants, one for children; patches with the cutest animal faces from lion and tiger to pig and cow, from monkey to koala and more. The other is an adult pack that has no-show camouflage solid colour patches. The fragrance is light and lasts for over 18 hours, ensuring no mosquito bites even when we spent an entire evening outdoors during the Mumbai Monsoons. I highly recommend the product for its non-toxic and 100% safe and natural formula. Though we didn’t really get a chance to try the After Bite, my sister used it and announced complete comfort on application. The packaging is great, with a set of two in each sachet that makes it convenient to use as well as carry. The price off-hand seems a bit on the higher side at INR 220 for a box of 20, however, on use, it makes sense completely. Same with the After Bite roll-on, that is available in a travel-friendly size at a reasonable price of INR 199. Both the products are a must not only in your first aid box but also in your handbag and your child’s diaper bag. Have you used repellent patches or itch relieving products? Share your experiences in the comments below.